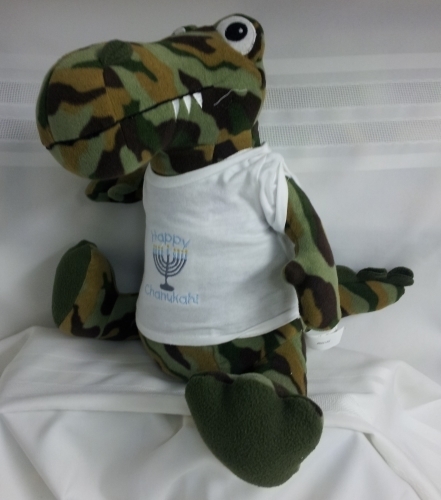 Kids will love this cuddly Happy Hanukkah Dinosaur! Made of camophlage plush and dressed to the teeth with a happy Hanukkah shirt. 14" tall and loveable!